There’s been a lot of negativity in the news lately regarding the Greater Toronto Area housing market. Sales are slipping, supply is low, and prices are going up. We understand if some people are hesitant to get active in the market. But, it seems like the tide is turning with Mattamy Homes reporting strong January sales! Over the last couple Saturdays, Mattamy Homes released new lots at their most award-winning community, Hawthorne South Village Sixteen Mile Creek in Milton. On January 19, they made 113 sales and on January 26 there were 67 sales, selling out the 180-unit Creekside Collection. Mattamy says that more than 500 families attended the two weekend openings, and hopeful buyers were actually lining up days before the openings. Mattamy didn’t say whether the line-up was actually outdoors or if people were somehow able to secure a position beforehand (it’s been freezing cold and we can’t imagine people waiting outside for days!). 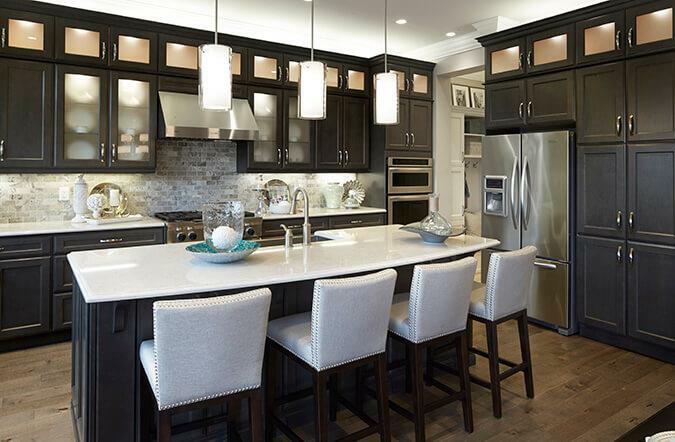 The release featured freehold Village Homes, two-storey townhomes, and 30’, 34’, 36’, and 43’ detached homes. Based on the selection, we’d say the majority of the buyers were probably move-up buyers. "While there is no doubt that the real estate market in the Greater Toronto Area has undergone change in the last 18 months, our sales results in Milton the past two weekends are telling a very positive story," says Brad Carr, CEO of Mattamy Homes Canada. "What we're seeing is that in the midst of this soft landing there is definitely still strong demand driven by solid market fundamentals. We are pleased to see so many buyers recognizing the long-term value of home ownership and investing in their families' future." Clearly, the demand is there. There have been numerous factors holding back would-be buyers, like the mortgage stress test, rising interest rates, and high prices. Despite all of this, families see value in the housing market and are confident that it is a sound investment. This is the first big opening we’ve heard about and this type of activity at sales centres isn’t even common for January. It makes us curious about what the spring will be like for the new home market. Mattamy’s not waiting until spring though. They understand the demand, so they’ll be opening in Brampton this Saturday! They also have new releases planned for Oakville and Milton in the near future.